By Shawn McManus and Andrew Pepoy. 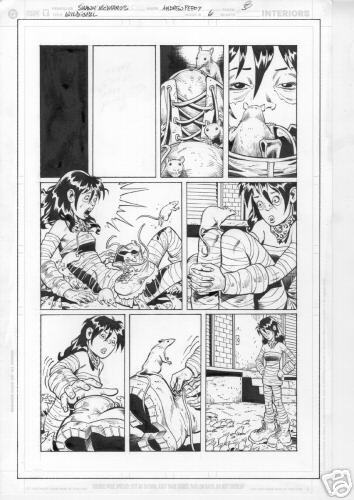 Andrew Pepoy (who did a brilliant job on the inks for issues 2, 5 and 6) is selling his artwork on eBay at the moment. So far he's sold page 17 from issue 2 (HERE) and page 3 from issue 6 (HERE) for $20 each.